Time to time, we all crave to change our looks according to the set trends, whether it’s balayage, paste ombre, highlights, or traditional foils. All these techniques are a great way to switch our hair colour and recast ourselves. But the problem here is, however fancy these hair colour highlights might look on us, they sure weigh heavy on our pockets. To puzzle it out, highlighting hair at home is a viable option which saves money as well as time. Though, this DIY dye job can be tricky for some, so we bring to you a detailed guide on how to highlight hair at home in 3 different ways. 9 Things You Need To Know About Highlighting Your Hair! Want to do a lil’ something with your hair? Getting hair highlights at home can be really exciting. 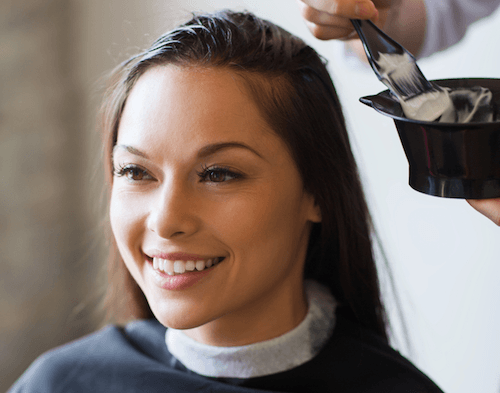 But before you hit the salon, here are a few pointers you MUST browse through. Go on, get reading! Highlights actually mean adding a new streak of colour that is lighter than the natural colour of your hair. (If you want a streak of darker colour, that’s called lowlights.) Depending on the kind of highlights you want, it could also mean using two colours on your hair for a bold contrast. While highlights do not touch the roots of your hair - so you don’t have to work on getting your “roots” done when your hair grows - read up on the subject and look at pictures of celebs with highlights, etc., to make sure you’ve made up your mind and you’re ready to invest time in post colour-care. 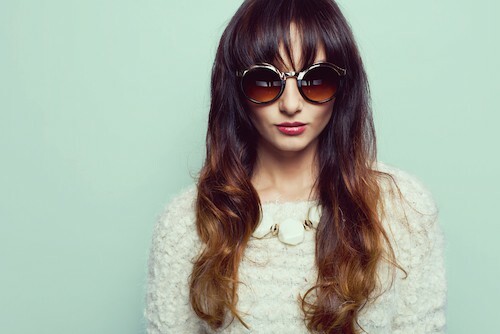 Making the most of your natural hair colour and what suits your skin tone can go a long way in acing the look. Broadly speaking, most of us are either cool toned with bluish-brown undertones or have warm toned skin with overtones of orange-yellow. If your veins are visible and your wrist looks pale, you have cool toned skin. And if your veins are not that obvious, you lean towards the warmer side of the scale. The haemoglobin levels in our body determine if we are cool or warm toned. If you are cool toned and have a medium to dark complexion, your overall colouring can be described as “Dark Cool”. Ash-toned highlights will add a layer of freshness and complement your natural colour. If you are cool-toned and fair, you’ll probably fit under the category of “Light Cool”. Ash-blonde highlights will really suit you. If you are warm toned, with a medium to dark complexion, your colouring would be called “Dark Warm”. You can strike a contrast with shades of caramel and add dimension to your look. Finally, “Light Warm” - this is what you’d be categorized as if you’re fair and have a warm skin tone. Neutral gold highlights would look great on you. Most Indians fit under the “Dark Cool” and “Light Cool” categories, and you should explore colours accordingly. Having said that…if you want to try a semi-permanent shade of Indigo blue JUST ‘coz you’re feeling it, chuck the shade card, and go right ahead and experiment! It’s about expressing yourself too - not just sticking with the “rules”. Make sure you seek out the best colourist/ hair stylist in your city, especially if this is your first time. Ask your friends to recommend professionals, not salon chains. Get a free consultation and go through the colour shade and the process details with the hair expert. This will give you confidence in what you’re doing. Finally, while we don’t suggest getting hair highlights at home if you are determined to do it, then please invest in a proper highlighting kit and use a toothbrush to be precise with the application. Hair colouring is a longish-term investment, so it’s best to do some research before you get highlights. Apart from foil highlighting, which is the most basic technique for getting it done, there are three other techniques. Of these, a technique called “balayage” is a rage in the West. Herein, the colourist paints on the highlights by hand, making the colour seem more natural. Another trend called “sombre” is popular on Pinterest: it means having your highlights tipped towards the end and being super blended towards the roots. So keep an eye out for what’s out there, and make sure you get the best of the best! Getting any sort of colour on your hair can damage your hair to a certain degree, even if you’re using the best products. 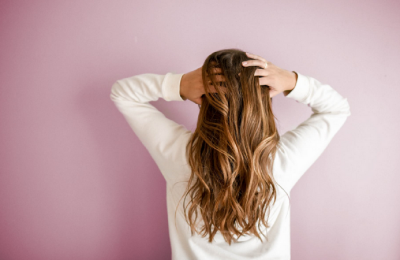 While highlights don’t actually cause as much damage since you have the option of not touching the colour to your roots, but colouring of any sort can still make your hair brittle. So make sure to take good care of your hair before you decide to get those highlights. Indulge your hair with some hair packs, hair spas or just oil massages for a few months before getting highlights. So that when you do get highlights, your hair is healthy and can handle that colour! How to highlight hair at home is a tricky question. Yes, we mentioned this already, but it’s worth mentioning again. Unless you’re going with a completely different colour altogether - purple, blue, green and the like - you don’t want to pick a colour that is almost as light as your actual skin tone. That often makes one look washed out. You also should be careful about picking a colour that is no more than 3 shades lighter than your actual hair colour - anything lighter often has a way of looking completely mismatched and patchy. Once you know what colour you want, you also need to know how much of your hair you actually want highlighted. Full or partial? Some people often get highlights placed around their face for framing or brightening effect. While others opt to get their whole head, front to back highlighted, often also with the purpose to hide some greying hair. So, before you sit down to get those highlights, know why you want them and how much you actually want. 9. Make Sure You Take Care Of Those Highlights After! Post highlight care is just as important if not more as taking care of your hair before. Make sure you deep condition your hair at least once a week and indulge in products that are colour friendly. Wash your hair slightly less often and use a heat protectant while styling your hair, even if you didn’t before. Home hair colouring kits can be bought at the nearby drugstore at cut-prices which will not burn a hole in your pocket. Let’s see how you can get fairly tenable highlights at home with these 4 amazing and super easy techniques. Prepare your hair dye according to the instructions given on the kit. Detangle your hair using a hair brush suitable for your hair type. Wear your rubber gloves and start by parting your hair from the centre. Cut out linear strips of foil that are approximately 2 inches longer than your actual hair length and 4 inches wide. Create sections of your hair and part them into 3X3 inches square sections, take the help of sectioning clips. Begin by removing clip from the first right section of your hair. Now, hold the rat tail comb and use the tail end to slice the centre parting through the upper layer of the front section in order to pick up all the surface level strands. Now, put a foil trip under the sliced portion of your hair. Make sure that the end of the strip is placed right under your roots. Apply hair colour on the sliced off portion of your hair from the roots, right to the ends. Fold the foil around the coloured strand and cover its edges. Then fold it in halves. Repeat this process on the remaining sections of your hair. Let the hair colour sit on your hair for the prescribed time. Then remove the foil pieces and wash regularly. The french term ‘Balayage’ is a hand painted highlights technique which is all the rave right now. It’s a winning technique which flawlessly blends the highlights into your hair that they appear to grow out of your natural hair. Remember, balayage require a high level of expertise that can only be done at hair salons. But guess what? We’ve found a pretty easy way to try this technique at home. Catch how! Wear your rubber gloves and start by parting your hair from the top half. Apply hair colour on the bristles of your paddle brush with the help of your hair tinting brush. Now, use the coated brush and run it through one section of your hair, starting from the midsection and reaching the end. Next, flip the brush and comb it through the back side of the same section. Ret the ends of your hair with more hair dye as they require denser product quantity as compared to the top section of your hair. Continue to re-apply the dye to your brush and run it al over your hair until each and every section of your mane is covered in dye. Repeat the same dying process by unclipping the top section of your hair. Leave the color as prescribed on the box and wash it off with your regular shampoo and conditioner. We know you’re thinking that this is a long gone 2000s trend, those dreaded blonde frosted highlights that men used to parade in. But let us be very clear, these are not the kind of frosted highlights we are speaking of, this technique is done with the help of a special cap which has numerous punctured holes in it which allows an easy application. It gives you super fine, highly textured highlights that blend in your hair, effortlessly. Wear your rubber gloves and put on your highlighting cap. Start by tugging your hair in thin sections through the punctured holes in the cap. Make use of the hook for easy pulling. 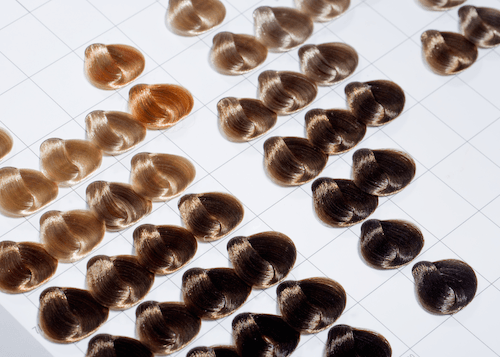 Place the thin sections of your hair according to your highlighting preferences and once you’re satisfied, you can start painting them. Make sure to separate those sections from the roots to the end. Leave the color as prescribed on the box. Remove the cap carefully and then wash it off with your regular shampoo and conditioner. Happy highlights to ya! 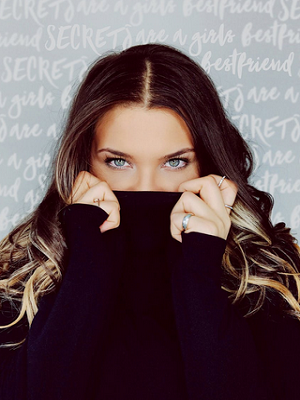 Images: Shutterstock MUST-READ: Hair Colour 101: The Everything You Need To Know Guide Before You Tone Those Tresses MUST-READ: #RealGirlBeauty: 10 Things to Keep In Mind Before Colouring Your Hair This story was updated in March 2019.